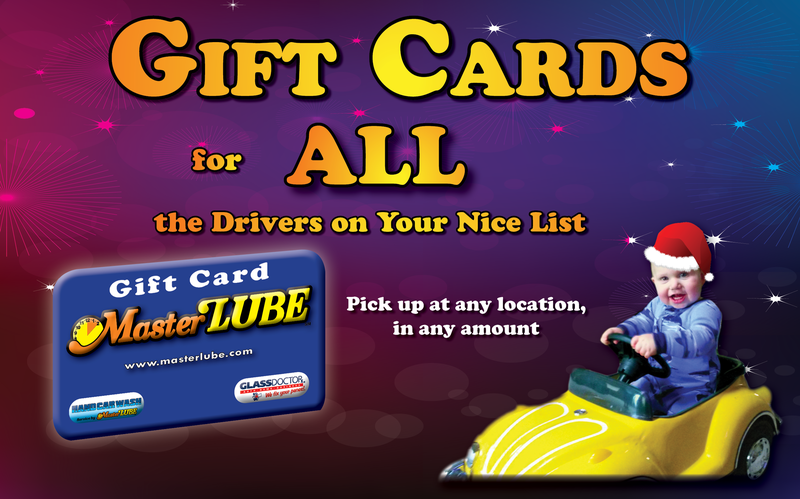 MasterLube Gift Cards are available for purchase at any MasterLube in Billings and Laurel. Use them at your favorite MasterLube, our MasterLube Hand Car Wash in downtown Billings, or MasterLube Glass (Glass Dr) at 750 Broadwater. Visit our locations page to find a store near you!